Plants serve so many wonderful functions. Not only are they aesthetically pleasing, but they can often help to improve air quality and boost morale. Foliage Design Systems Atlanta understands that while almost everyone can see these benefits, they may not be ready to truly invest just yet. This is why we offer a selection of plant rental and plant lease packages here in Atlanta. Regardless of whether you want to give plant rentals a try to determine if your business is ready to fully commit, or if you are hosting an event and would like to decorate with greenery, we can happily accommodate. 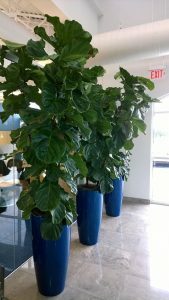 When you work with Foliage Design Systems Atlanta, you will find that we have a wide selection of leased plants to offer. When we sit down with you for a consultation, just let us know a little more about the space and whether you are looking to rent plants for use in your office, or if you are more interested in our event plant rental options. In that case, we will be able to choose plants and create a design based on the theme of the event. On the other hand, if you like the look they provide but are skeptical about using live plants, just let us know. We’ll work with you and show you examples of the artificial plants we have to offer. In addition to providing companies up with plant lease packages, Foliage Design Systems Atlanta can also send someone out on a regular basis to feed, water, and nurture the plants to ensure they are being properly maintained. 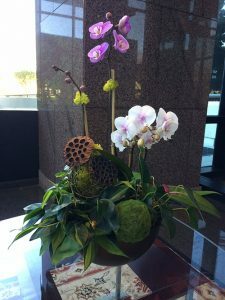 If you find that the presence and fragrance of real plants to be too overwhelming after time goes on, we may recommend giving our artificial plant rental packages a try to see if that may be a better fit. It’s all up to you, as you will have the liberty to pick and choose the plants you lease and swap them out whenever. If you have been thinking about adding plants to your commercial space, give Foliage Design Systems Atlanta a call at 770-451-0885 today. Whether you want to learn more about our long-term plant rental options or are simply in need of event plant rentals, we have a plant lease package to fit your needs.